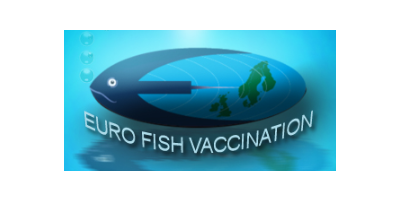 Founded in Scotland in 2007 by fish-farming professionals, Eurofish have rapidly progressed and expanded to become European industry leaders in the field of the protection of commercially reared fish against viral infection and disease. 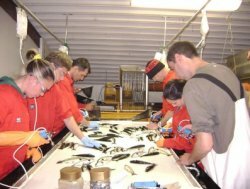 Operating principally in the UK and Norway, Eurofish have established an unrivalled reputation for excellence in fish vaccination by adhering to the highest standards of professionalism, quality control and bio-security, always ensuring fish-health and welfare are at the forefront of everything we do. Founded in Scotland in 2007 by fish-farming professionals, Eurofish have rapidly progressed and expanded to become European industry leaders in the field of the protection of commercially reared fish against viral infection and disease. Operating principally in the UK and Norway, Eurofish have established an unrivalled reputation for excellence in fish vaccination by adhering to the highest standards of professionalism, quality control and bio-security, always ensuring fish-health and welfare are at the forefront of everything we do. Numbering several major multi-national companies amongst our clients, Eurofish work closely with specialist fish veterinarians and vaccine companies to ensure customers always receive best possible results from this vital procedure in the production of farmed fish.